A little bit of heaven in the Hamptons! Massage has confirmed values beyond the relief it provides to sore muscles. Massage has been proven to improve circulation, strengthen connective tissues, improve mental alertness, strengthen the immune system, promotes more restful sleep and more. Through the use of pressure, stroking and rhythmic movements, massage therapies relax the body and mind to impart a sense of well being and serenity. Scroll down for specific massages we offer. The benefits of the sea are fascinating and limitless. 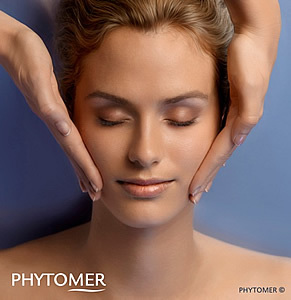 We offer Phytomer Skin Products, with Biotechnology that unlocks the power of natural ingredients. Your skin will look amazing. The Art of Massage and Skin Care offers both female & male clients exemplary waxing services, we do not offer a standard service, we set the standard. Our philosophy is superior waxing at a price that won’t raise a perfectly shaped brow. We’re not just WAX experts we are also SKIN experts, specializing in waxing means you must understand skin care. Each of our staff members are waxing and skincare experts with in-depth training. Why trust your waxing to anyone else. Find relief and relaxation during all stages of your pregnancy with one of our highly trained pregnancy massage therapists. Massage during pregnancy is a gentle and nurturing way to alleviate the discomfort associated with this joyful, yet physically challenging time in a woman’s life. A specially designed table allows you to lie face down while supporting the belly, helping you feel secure and comfortable. Receiving massage during pregnancy promotes health and well-being for you and your baby. Experience deep relaxation, pain relief, improved posture and increased physical balance. Adapted from ancient Eastern barefoot massage techniques, Ashiatsu utilizes deep compression and gliding techniques providing even, deep pressure on the body without pain. This treatment is highly effective for those who suffer from chronic neck and back pain or spinal issues, as well as for athletes and those who enjoy deep-tissue massage. Known for its healing properties, this massage works at all levels to balance, calm and energize you physically, mentally and spiritually. Bamboo massage is an innovative way to provide Swedish or deep tissue massage using heated bamboo to roll and knead the tissue to create an extreme sensation of relaxation and well-being. Bamboo massage is also used as a powerful preventive therapy against modernday stress and to aid relief from many physical and emotional problems. We provide professional on-site massage for special events, celebrations, groups and family gatherings. The therapists utilize mobile massage tables or chairs. Please note: advance notice is required for on-site services. Please call for quote. Microneedling is used to treat many skin conditions safely and effectively without the potential side effects and long downtime of lasers and cosmetic surgery. Microneedling tightens and lifts the skin, improving the skin’s texture and effectively treating scars. It is effective regardless of your age or skin type. Microneedling at The Art Of Massage & Skincare involves a trained practitioner and little risk for a minimally invasive procedure that promises excellent results. Microneedling treats a wide range of skin conditions. It is used to reduce the appearance of scars and stretch marks, as well as shrink pores. 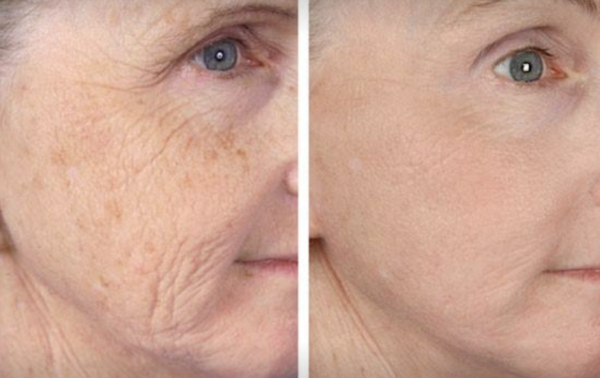 Microneedling also smooths fine lines and wrinkles. It is particularly well suited for fading acne scars. It can also be used as an anti-aging treatment. Microneedling plumps skin and improves its appearance. Microneedling is a minimally invasive procedure. It does not have the long downtime associated with many skincare procedures. You can return to your regular routine immediately. A light application of makeup for a few days is all you need to look presentable in public. After a day or two, there should be no visible reminder of the procedure. Microneedling at TAOM & Skincare offers many benefits and few drawbacks. While home microneedling kits are available, they are very different from the procedure offered by experienced practitioners. Studies have not concluded whether these at-home devices are safe or whether they provide the same results as those performed in-office. Q: What conditions does microneedling treat? A: Microneedling is used to treat both old and new acne scars, stretch marks, sagging skin, and fine lines. It can also be used to improve the general tone and firmness of the skin as well as reduce pore size. A: The practitioner will first clean your skin thoroughly. You may then have a numbing cream applied to your skin to help you stay relaxed and comfortable during the procedure. The microneedling device is then rolled over your skin. 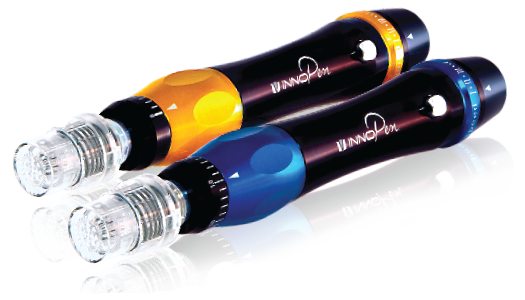 The needles penetrate the upper layer of skin. After the microneedling procedure is complete, a serum is applied to the treatment area to help the skin heal and provide hydration. Q: What will I look like after the procedure? A: Some redness is normal immediately after the procedure, but it fades quickly. By 48 hours after the microneedling process, the skin should return to normal. You may also experience some areas of slight pin-prick bleeding as well. A: It is normal to experience a little discomfort during the procedure. Talk to your practitioner about the use of a numbing cream to alleviate this issue. Q: Is the procedure risky? A: Like other skin procedures, there is a risk of post-operative infection, but it is very small. The pin-pricks created by the microneedling device close within an hour of the procedure, so, as long as the work is done in a hygienic setting, the odds of infection are incredibly small. Q: Who should avoid this procedure? A: While microneedling is considered a safe procedure, there are some people who should avoid or postpone treatment. Individuals who are currently pregnant or breastfeeding should postpone treatment. Current open wounds or abrasions on the treatment area are also a reason to delay treatment. Anyone who has received radiation therapy to the skin within the previous 12 months is not a candidate for this procedure. Individuals with current skin infections or herpes simplex in the treatment area should not receive treatment. Lastly, individuals who have a history of healing poorly, or developing hypertrophic or keloid scars should not undergo microneedling. A: Most people see results after their first treatment. Treatments can be repeated every four to six weeks. The number of treatments depends on the individuals goals, and treatments can be repeated until the client is happy with the results. Generally, four to six treatments, spaced 30 days apart, are used for general skin firming and tone improving reasons. 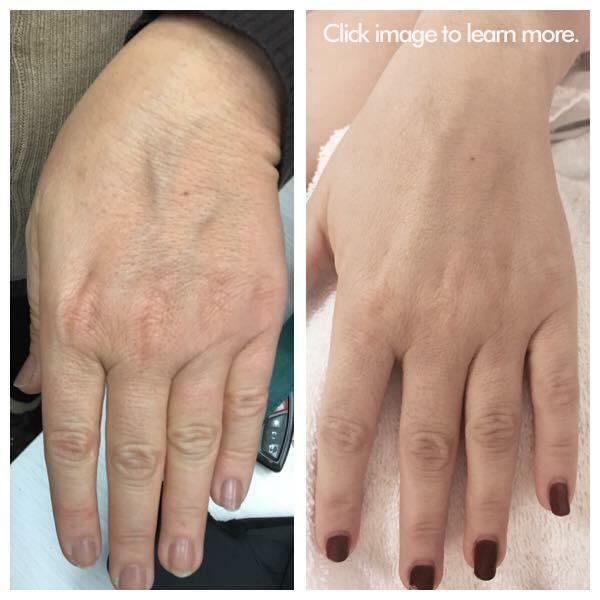 For scar reduction, three to six treatments. Q:How long does treatment take? A:Depends on the area treated. Face takes approx 30 minutes. Q:Can you add other treatments with this procedure? A:Yes, you can also add AHA peel and Celluma LED light for anti aging. What Imperfections Can Be Treated With Microneedling? 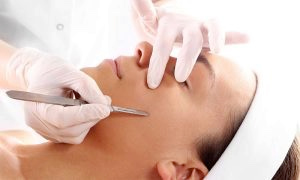 Dermaplaning is an effective and safe exfoliation procedure. It uses a sterile surgical scalpel to shave the surface of the skin to remove excess dead skin and peach fuzz hairs. The tool is held at a 45 degree angle and is brushed along the skin to remove the hair and skin cells. The procedure is only performed on the face and is not used for shaping the eyebrows, which the hair is much thicker. It is generally a stand alone procedure, but we apply an enzyme peel in conjunction with Dermaplaning; it does create deeper product penetration boosting the products effects. The procedure makes skin look and feel smoother and will reduces the appearance of acne scars. How Often is Dermaplaning Performed? Dermaplaning is usually performed every three to four weeks. It is good to have the skin complete its normal rejuvenation cycle, which is thirty days, before going back and having the treatment done. The procedure generally will remove between two to three weeks of dead skin from the facial area. Sometimes after dermaplaning, the skin will end up peeling slightly. This normally only happens when there is not enough time in between treatments to let the hair’s growth cycle be completed. This is why it is important to leave enough time between visits to get the best results. There is no need to worry about the hair on your face getting any darker. Since dermaplaning only targets the vellus hair (peachfuzz) the hair will grow back the same size and color. It is physiologically impossible for the hair to grow back thicker and dark, so no need to panic and worry. Never do this procedure at home. 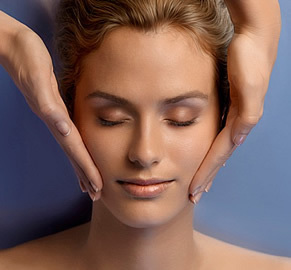 Leave it to the professionals at The Art of Massage & Skincare to ensure a safe and effective treatment. If you are interested in scheduling an appointment or just learning more about dermaplaning or any of our other treatments please call today! 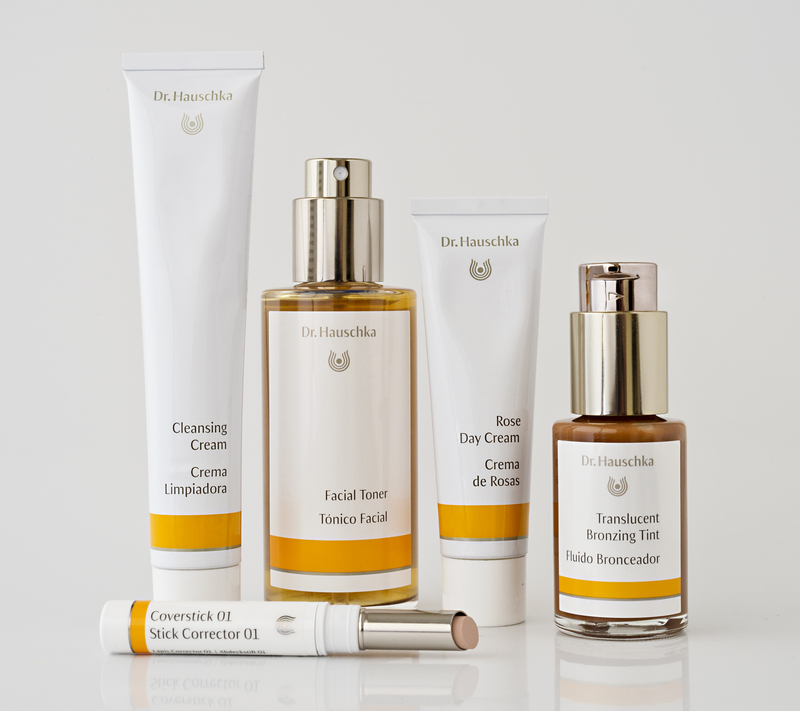 We offer skin care products by world-renowned Dr. Hauschka skin care line. This deep cleansing classic treatment is excellent for all skin types, including oily and congested skin. Refining the skin's surface and texture; the end results are a clear and radient complexion tailor made for your needs. Designed for our younger guests. Perfect for the teenage client looking for a skin care regimen revealing a great looking healthy skin. Dedicated to the needs of a man's skin. A therapeutic treatment begins with a relaxing back massage, then deep cleansing, moisturizing and soothing facial leaving the skin feeling revived. This deep skin cleansing and exfoliation of the back whisks away impurities and is followed by a mini-massage to ease tension. A treatment mask to rebalance your skin condition is applied while you relax and enjoy a scalp massage. Tightens pores, reduces oil, renews skin texture, and provides an immediate burst of radiance to your complexion in as little as 10 minutes. Like a farmer who considers his soil sacred, or the musician who exalts a melody, so does Grace Hyndman (McCarthy) regard massage therapy as a talent to be revered. This became evident when she named her business. “I wanted customers to know that massage isn’t just about muscle and bone – it also has the capacity to penetrate your soul,” Grace says, “That’s why our therapists often feel like artists when they apply their physiological expertise. So I called it The Art of Massage.” Thus was born the Westhampton Beach facility she opened in 2001. Regardless of the therapeutic modality, the common thread is Grace’s passion for improving the wellness of her clients. “I opened The Art of Massage because of my desire to help people in pain,” says the Long Island native, who earned her massage therapist license from the State University of New York in 2000. Among Grace’s favorite offerings at The Art of Massage is Ashiatsu Oriental bar therapy™, the famed ancient method in which a therapist grasps ceiling bars while executing a barefoot massage. In fact, she’s proud to say she was trained by Ruthie Hardee, the founder of the therapy. “Ashiatsu is great for really deep, intense work”, says Grace. The Art of Massage prides itself on raising the bar of excellence in massage therapy. Our therapist are all New York State licensed and are trained in many modalities focusing on soft tissue pathologies. As lifetime learners we continue to educate ourselves and create a unique experience with each visit. There are many therapist on staff and we encourage clients to find the right fit for their needs. Grace, who in 2001 earned a degree in Occupational Studies at the New York College for Wholistic Health, Education and Research in Syosset, New York, is trained in a wide variety of disciplines. Her talents include: Swedish and Deep Tissue massage therapy, Ashiatsu Oriental Bar Therapy ™, Active isolated stretching, Master medical massage/complete shoulder girdle, La Stone therapy, Reflexology, Warm Bamboo Massage and Aromatherapy Massage. Read Grace’s philosophy of massage therapy on the home page. Angela Hurtle is a Licensed Massage Therapist and Esthetician, working on the east end area for the last 11 years. She is experienced in Swedish massage, deep tissue, medical massage, Hot stone massage, reflexology, prenatal massage, Cranio-sacral therapy, Myofascial Release Technique, orthopedic testing, and Reiki. Her specialties in medical treatments include Lower back/sciatic nerve release, Neck and shoulder treatments, sinus relief treatment, and Rotator cuff/shoulder girdle treatments. In addition she has been a licensed Esthetician for 8 years. 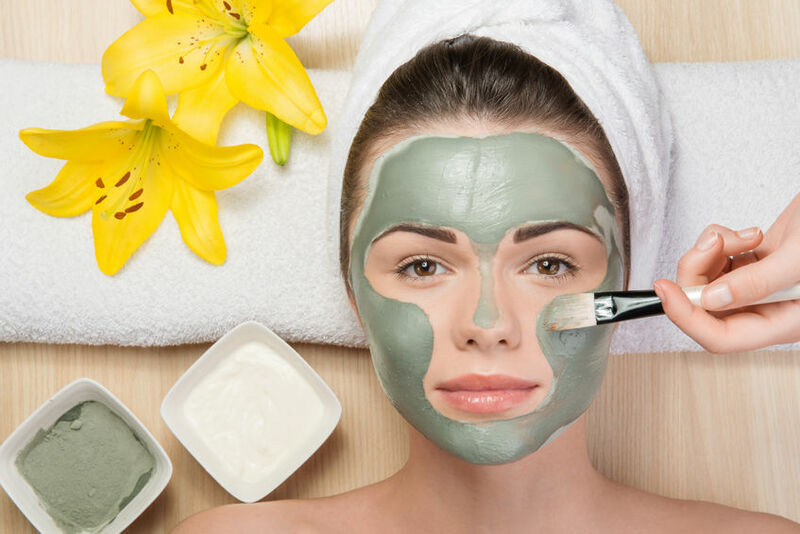 Some of her skin care specialties encompass facial and body waxing, facials treatments, body scrubs, back facials, body wraps, and enzymatic peels. Graduated from The New York College for Holistic Health and became licensed in massage therapy in 1998 and have been practicing for 15 years on the North Fork and the Hamptons. My therapy treatments include addressing injuries, chronic and acute pain and managing stress to improve health and wellbeing. The techniques that I currently utilize include sweedish, deep tissue, myofacia release and trigger points and reflexology. Rick began his career as a massage therapist in 1988 after graduating from the New Center for Holistic Health in Manhasset NY. He's recorded 19,000 treatments since that time while working in private practice as well as Gurneys Inn in Montauk. His treatments include, Swedish, AMMA, deep tissue, combination and aromatherapy. As a massage therapist, Rick enjoys the wide variety of individuals I encounter during my work. Every person is different and interesting. Fulfilling the needs of each client is the motivation behind his treatments. Sign up for a Membership at the Art of Massage and enjoy these benefits!! Monthly services at a discounted rate! Refer new membership client receive 1/2 hour your choice. Download & fill out contract and bring it to the Art of Massage. Pay by check. OR register and pay online here. We understand that unanticipated events happen occasionally in everyone’s life and are happy to honor your business as follows. If there are any health issues present at the time of your scheduled session that might make massage /facial/waxing a bad idea, including fever/cold/flu/sickness, please contact us BEFORE attending your appointment. 24-hour advance notice is required when canceling a massage appointment. This allows the opportunity for someone else to schedule an appointment. Since all massage services are by appointment only, a major credit card is required to hold your appointment. You will not be charged until massage services are rendered, unless you fail to cancel within 24 hours and/or no-show (see below) your appointment! If you are enable to give us 24 hours advance notice you will be charged the full amount of your appointment. Anyone who fails to show up for a scheduled session and does not provide 24 hours cancellation notice, will be considered a “no-show” and will be charged the full amount for the missed appointment. Out of respect and consideration to your therapist and other customers, please plan accordingly and be on time. If you arrive late, your session may be shortened in order to accommodate others whose appointments follow yours. Depending upon how late you arrive, your therapist will determine if there is enough time remaining to start a treatment. Regardless of the length of the treatment actually given, you will be responsible for the “full” session. All appointments will be held with a credit card. If you have questions, would like additional information, or would like to make an appointment; please call 631-288-5588.